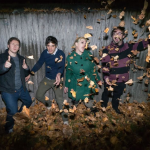 Late last summer, New Jersey outfit Dentist released Night Swimming via Cleopatra Records. 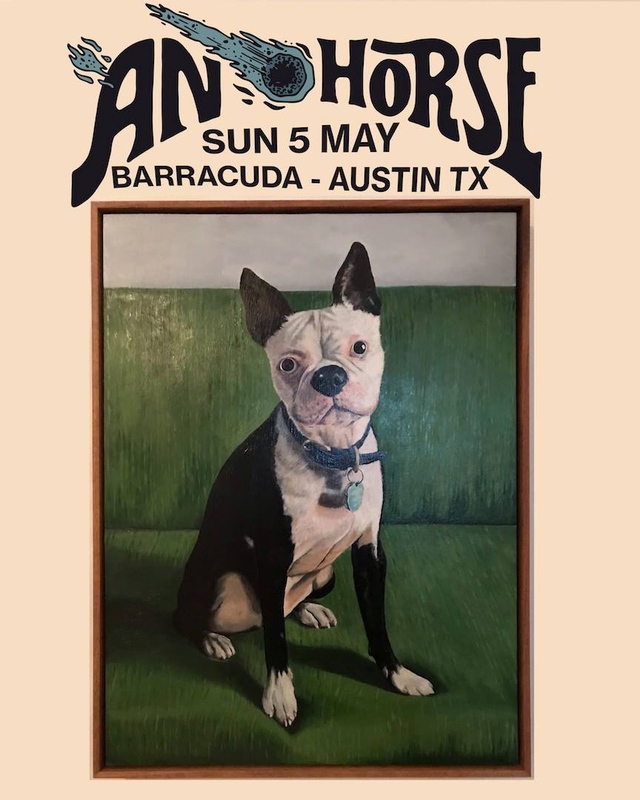 We gave the album and its singles solid praise when it dropped, and we were super fortunate to have the band play our ATH Day Party this week at SXSW. 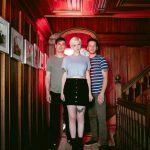 Now, the band have a brand new video for standout single “Alone in the Garden.” The video’s mostly a performance video, shot in various ways with fun little elements thrown into the mix; the song is a blistering bit of power pop, with just the right hint of dreaminess thrown in for good measure. The album is available to buy directly from the band HERE, or you can grab it from Cleopatra. And…if you’re in Austin right now, they’ve got a show at 2 PM at Side Bar, and at 6 PM over at Hard Luck Lounge! Everyone is buzzing about the city as we speak, clamoring to find the cool thing to do. 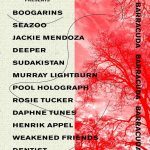 Well, luckily, we’d like to bring you a cool hang session with some really great music over at Barracuda on 7th Street. We’ll open doors at 11:30 AM, that way you can be the first to see the greatness that is Daphne Tunes. Check out the line-up right below, and a nice little playlist to familiarize yourself with the band gracing our stage! Also…word on the street is there’s some giveaways to the first 50 or so folks coming our way. It’s free, it’s all age, so come be our friend. Not but more than a few weeks removed from their last hit, Dentist are back with another great pop number we can enjoy on Monday. It opens with a pounding snare and floor drum over a discordant guitar chord that seems to bound down the hallway before Emily enters the picture with her voice. I love how her delivery is calmed, almost matching syllables and drum beats; it gives a certain cadence to the tune. That sets up the delicious chorus, as infectious as ever. Night Swimming will drop on July 20th via Cleopatra Records…with an Austin date at Cheer Up Charlies just a week after the release! When a band make and announcement that they’ve signed a deal with a new label, it usually means new music is waiting in the wings. 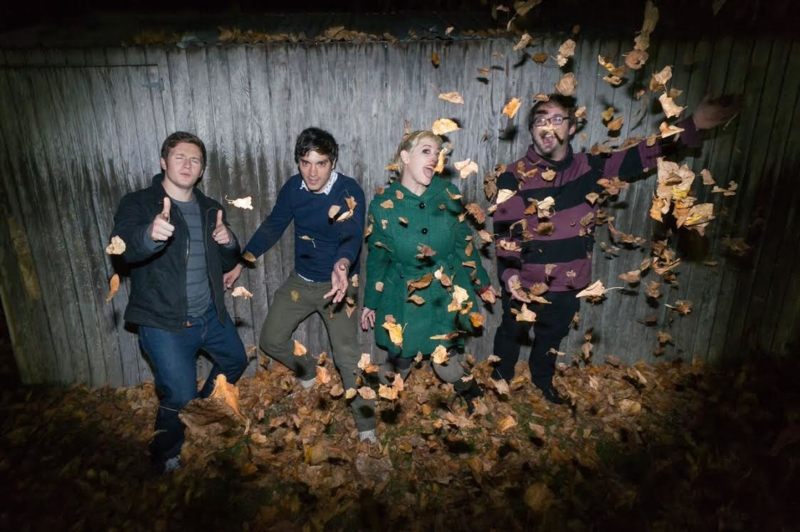 Luckily, we didn’t have to wait long for New Jersey act Dentist to drop a new track with their announcement; it should put you on alert for your next favorite band. Opening with a steady strum before Emily’s voice joins in the fray, always building towards that emotional release you seek in your pop music. It comes quick and fast, with pounding drums rolling along as the tempo builds. I love how the vocals seem to slide right in casually, as if the song’s new power means little to our vocalist. The group will release the very charming Night Swimming via Cleopatra on July 20th. On a dreary Monday, it always helps so give yourself a little big of bright pop music to bring up your moods. 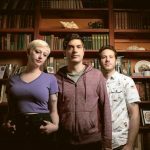 Today that inspiration can best be provided by Asbury Park based band Dentist and their new single “Awful”. Though the song lyrics and subject matter seem to be a bit negative, the overall feeling of the song comes across as sunny and infectious. I believe this is the beginning of a beautiful relationship. Dentist will dropCeilingson June 24th via Little Dickman Records.